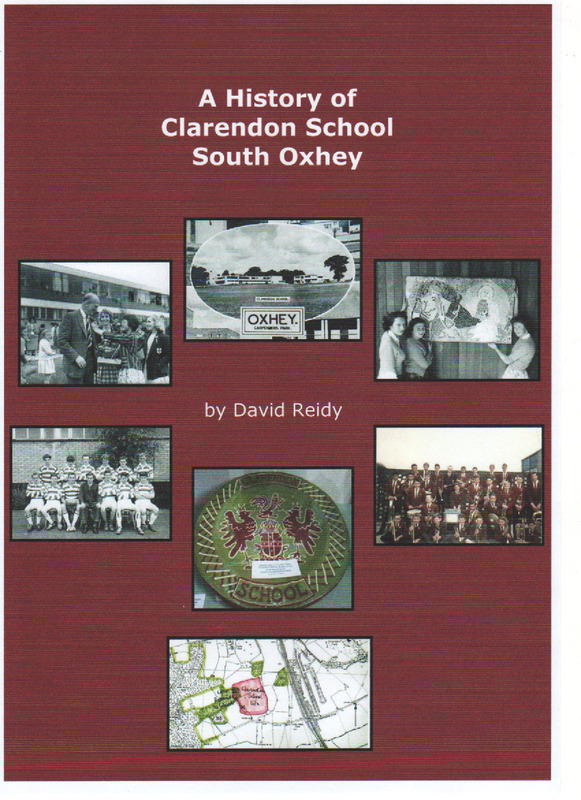 After more than 12 months of research, David Reidy has completed a detailed history of Clarendon School, South Oxhey. This is his fourth book on the former London County Council Estate (Poor but Proud, 2012, Carpenders Park Station, 2014, and Hampden School, 2015). The A4 softback publication contains more than 220 pages, with numerous illustrations in the form of maps, diagrams, plans and photographs, some of which appear for the first time in full colour. Seven chapters cover the short history of the School, from the beginning in 1947-51 until the closure of Sir James Altham in 1989. These are followed by a series of detailed appendices, including official reports and documents, journal articles, school prospectuses (1956 and 1965), as well as comprehensive lists of full-time teaching staff, prize winners and exam results. There is even a complete reproduction of the School Magazine, Clarendon Ranger! Appendix H contains the memories of more than a dozen former staff and pupils who recall their time at Clarendon during the 1950s and 1960s. This is followed in turn by a selection of class photographs. An informal launch of A History of Clarendon School, South Oxhey, has been arranged for 2pm on Saturday, October 8, 2016, in the All Saints ASCEND Building, Gosforth Lane, where books will be on sale at £15 each. Light refreshments will also be provided and, if the weather is fine, a nostalgic walk will be undertaken around the former site of the School. I joined the staff of the new Sir James Altham ( Sir Jimmy’s) in 1967, straight from college. There were about 20 of us newbies, totally at loss with a timetable that put us in the Clarendon block for one lesson followed 2 minutes later at the Hampden school! No wonder we were frazzled. I left in the middle of producing Oliver in 1971 but brought the kids from my new school to a matinee and performed in the show. I was a lot younger then! I was also in the show at The Palace in Watford the night Roger Elliot died. A tragic loss for us all. My dad, Michael Chandler attended Clarendon School, not sure which years though. If anyone has any pictures or stories of him, I would love to see/hear them. The first print run of the History of Clarendon School has sold out and further copies are being ordered (May 2017).